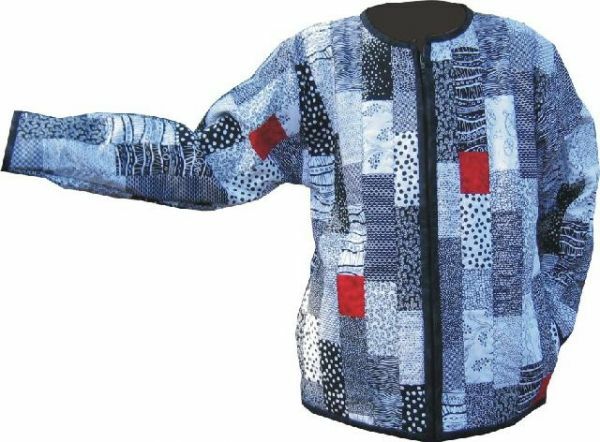 Stripper's Delight Jacket uses a jelly roll or 2 1/2" strips and a sweatshirt to make this fun and easy jacket. Hidden pockets finish this great looking jacket. This is a great project to help clean out your scrap bag of left over 2 1/2" strips.